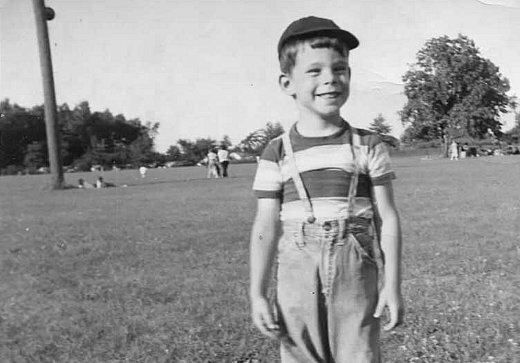 In 1961, the following submission letter — written by an aspiring author aged just 14 — arrived at the offices of Spacemen Magazine accompanied by a copy of "The Killer," the polite youngster's latest short story. Unfortunately for him the magazine's editor, Forrest Ackerman, didn't deem the tale worthy of inclusion at that point, and it would be another 33 years before he changed his mind and decided to publish it in issue #202 of another of his magazines: Famous Monsters of Filmland. 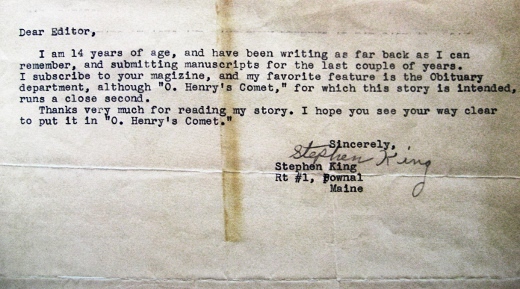 By that time, however, the story's author, Stephen King, was already rather successful. Thanks very much for reading my story. I hope you see your way clear to put it in "O. Henry's Comet."